In June, Los Angeles Unified School District’s (LAUSD) Board of Education unanimously approved the “Realizing the Promise for All: Close the Gap by 2023” resolution, with the stated goal that by 2023, all LAUSD students are prepared to be eligible to apply to any 4-year university in California. This commitment speaks to LAUSD’s mission to graduate students who are both college-prepared and career-ready. The resolution also lays out a number of additional goals, notably “to prepare all eighth grade students to be A-G ready as demonstrated by a ‘C’ or better in grade level English Language Arts and Math.” LAUSD has already taken critical steps to integrating A-G courses into its graduation requirements to help ensure that students are prepared for post-secondary success. With graduation season at a close in West Contra Costa, we are thrilled for the many students and families of our community celebrating this milestone. We are also faced with the reality that not every West Contra Costa Unified School District (WCCUSD) diploma signifies that a graduate is eligible to apply for California’s public universities. Last year, we reported that of the 83% of our students who graduate high school, more than half are not eligible to apply to California’s 4-year universities. 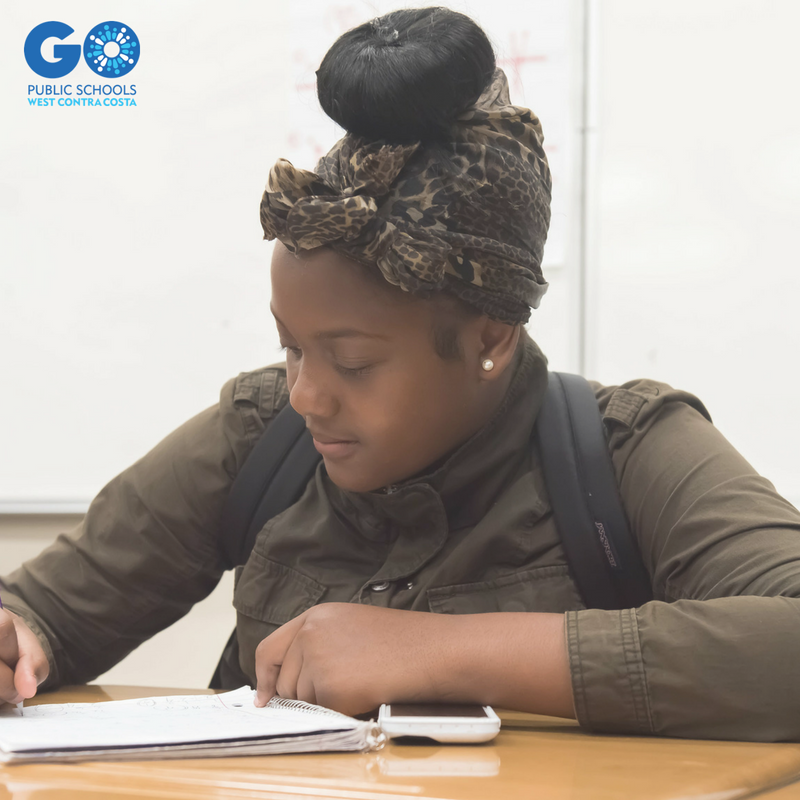 Our students deserve equitable access to opportunity – we have to do better. We ask that you take two minutes to show your support for college-going dreams in West Contra Costa. Please review our College Readiness Study Team’s initial findings, and show your support for our proposed next steps by signing-on here.